Through their passion and love for the game, Ice Cricket have made it their goal to bring Cricket CHAMPIONS from all over the world to challenge their skills and their versatility, to battle it out in the Swiss Alps at the world famous and glamorous St. Moritz. As one of the most famous holiday destinations in the world, it is home to exceptional leisure and sporting facilities and hosts events on the world stage. Don’t miss out on the world's first Ice Cricket Challenge and be part of sporting history! International legends will be put through their toughest challenge, in the most extreme environment they have ever faced. Watch Cricket stars, such as Virender Sehwag, adapt their styles and bowl cricket balls in the Swiss Alps. This is an event not to be missed, it could put the ‘extreme’ into Cricket. Attend a one-of-a-kind cricketing experience, on the frozen Lake St. Moritz, in the shadow of the Alps. Between 8-9 February 2018, some of the world’s greatest cricket players will play two games of Twenty20 cricket. Attendees will view this amazing event from the world’s most exclusive cricket village, fully catered, including a bar and live music, a gala dinner with Karishma Kotak (TV presenter, model and actress) with an After-Party with DJ Miss Millie from Belgrade. 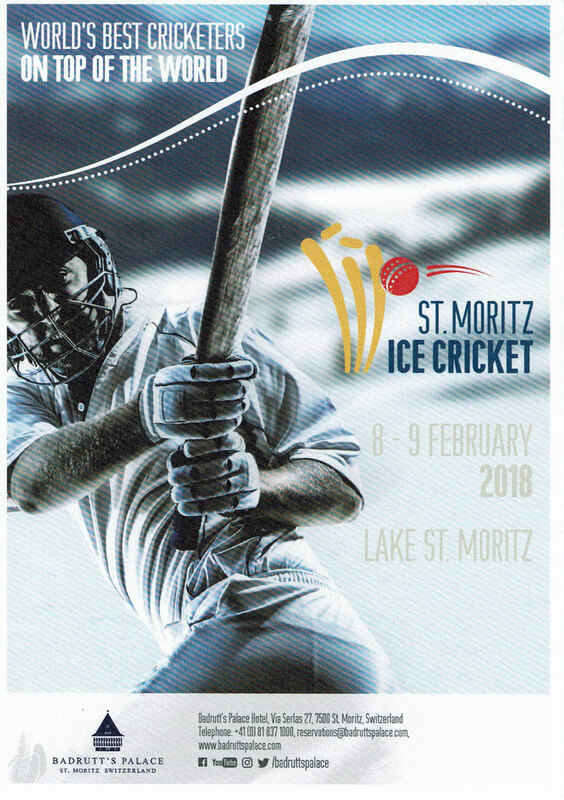 More information and to buy tickets visit the St Moritz Ice Cricket website.